Action Garage Door does much more than just install residential steel garage doors for customers in the Houston area. We also make it a priority to help our customers get through the rest of the winter by performing maintenance services on a variety of Houston garage doors. We know that a properly functioning garage door is necessary to ensure your family’s comfort and security during the cold winter months, so we will do everything we can go make sure your residential steel garage doors are in top-notch condition when more freezing weather moves in. Garage doors can become completely non-operational in cold weather, as some residents of Allentown, Pennsylvania experienced when winter weather struck in December 2013. Because a malfunctioning garage door can be dangerous, it is important for you to call a professional to get your garage door back in working order again. If your residential steel garage doors stop functioning because of ice or freezing temperatures like they did for Allentown residents, call the experts at Action Garage Door right away. When cold weather hits and residential steel garage doors aren’t working, we will do everything we can to repair them as quickly as possible. 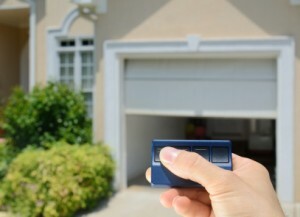 We will also provide maintenance services to decrease your chances of having garage door problems in the first place. Give Action Garage Door a call at 713-222-1500 to find out more about our winter garage door maintenance and repair services.